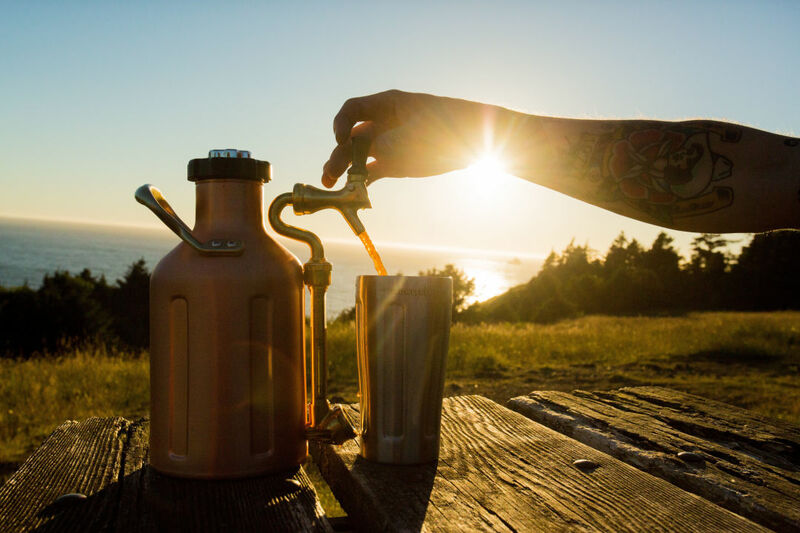 Three drinkers with an engineering problem created the world’s premier pressurized growler for a perfect day. Ahhh, Portland. Beer flows as steady as the Willamette River, and if you’re not offered a drink menu in the waiting room of your dental office, you might feel slighted. The only thing this city seems to cherish as much as its craft microbrews and spirits is the great outdoors. So it only makes sense that the world’s premiere double-wall, vacuum-insulated growler would be born here in Beervana. 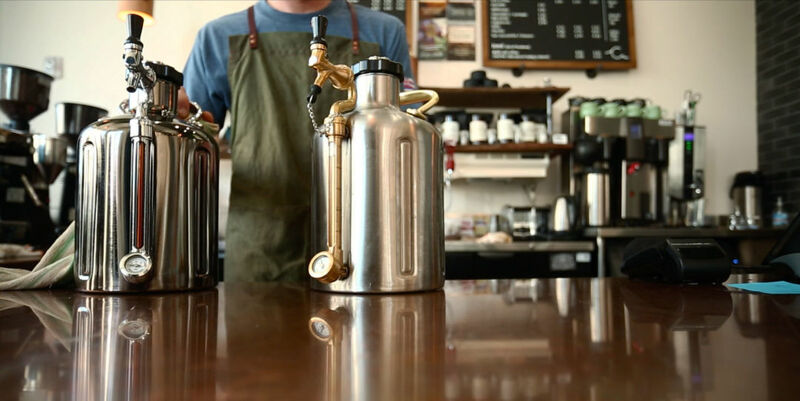 The uKeg pressurized growler from GrowlerWerks was created to allow people to savor cherished craft beer, fresh and perfectly carbonated to the last drop, at any location. A perfect day to the average Portland resident involves escaping outdoors to hike, cycle and swim. Some even surf the cold waves off the coast. 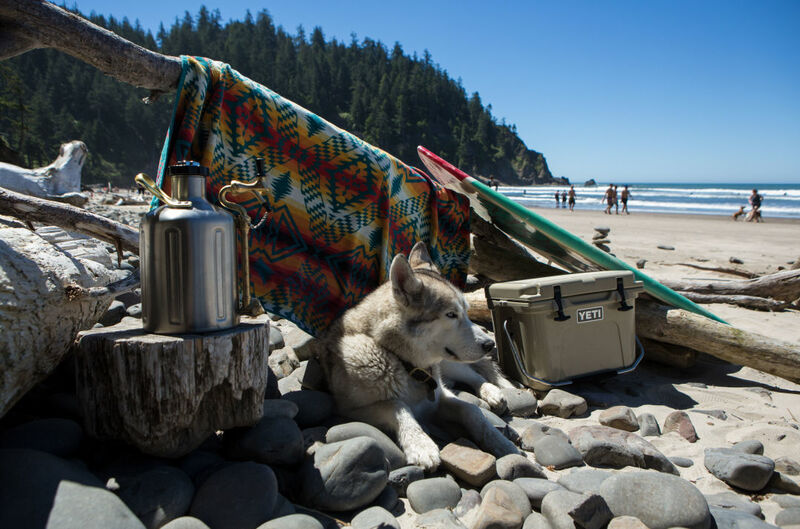 People pack vehicles full of friends, equipment, bonfire supplies -- and an ample supply of their favorite beer -- and drive through the coastal mountains until greeted with salty air and sandy shores. Unfortunately, litter has become a major issue on our coastline, inspiring a proposed alcohol and container ban this legislative session. Misguided House Bill 3441 didn’t become a law, but litter remains a problem the uKeg could fix, getting rid of the need to bring disposable bottles and cans to our beaches. The idea for the uKeg started one summer night around a beach bonfire. GrowlerWerks’ Founder and CEO, Shawn Huff, was serving some beer to out-of-town friends from a glass growler filled with Boneyard’s Hop Venom. After a day of surfing and beach activity, everyone was more than thirsty enough to finish off the 64-ounce thirst quencher, but the beer had gone stale. “I took one sip and swallowed my pride. No one was ever going to be impressed by a flat IPA,” said Huff. What was once some of Oregon’s finest draft beer had turned into an unrecognizable grog. Fast forward to today: These three drinkers with an engineering problem created the vessel that transcends the waste dilemmas. This reusable container is designed to never let a single drop be ruined, by keeping beverages perfectly carbonated to the last sip using 100 percent recyclable CO2 cartridges. The uKeg brings a whole new meaning to the phrase "drink responsibly." 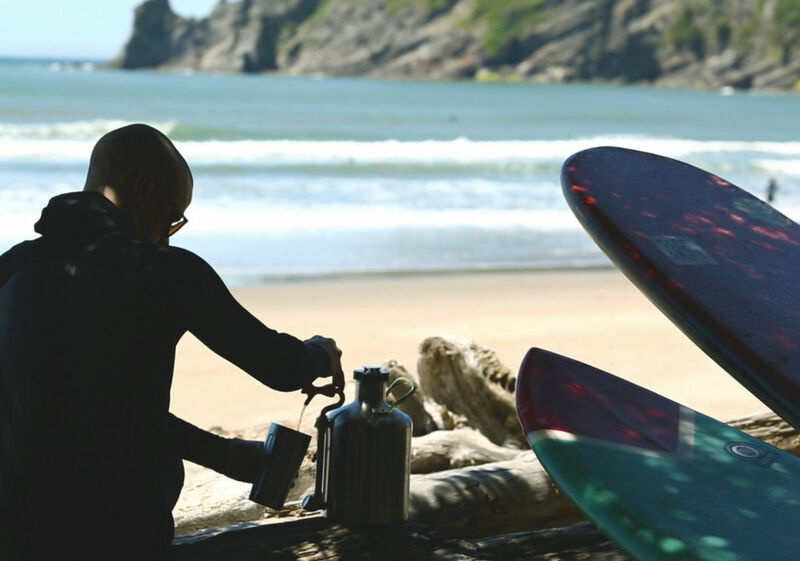 This summer, enjoy Oregon’s great outdoors and scenic coastline with a cold, fresh, carbonated beverage thanks to the uKeg. Whether seeking to reduce your footprint, or just not waste a well-crafted draft beer, GrowlerWerks advises you to grab some friends, fill up your uKeg, and have a perfect day. What is a perfect day? Portland’s Alex Mill, owner of COSUBE, describes his perfect day and how the uKeg accentuates that. Watch below.